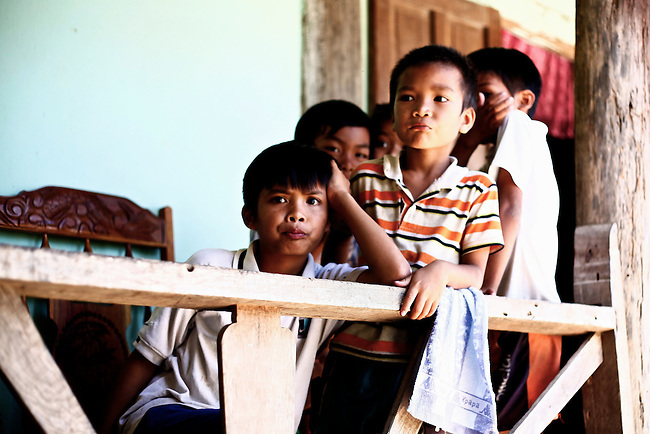 Bahnar children gather on the porch of a house in a village near the Central Highlands town of Kon Tum, Vietnam. The Bahnar are one of more than two dozen hill tribes known formerly in the West as Montagnards, but who are now called the Dega. April 14, 2012.